In a 232-to-190 vote, divided along party lines, the Democratic majority made good on a promise that became a rallying cry in many progressive circles during the 2018 election. It is also expected to be held up as an issue by Democrats in 2020. But the legislation, the Save the Internet Act, faces long odds in the Republican-led Senate. The Senate leader, Mitch McConnell, said this week that the legislation would be “dead on arrival.” Earlier this week, the Office of Management and Budget advised the White House to veto the law if it reached the president’s desk. The office said in a letter that since the law had been overturned, the broadband industry had thrived, a good sign of how deregulation helped the economy. The legislation would prohibit blocking and throttling web traffic and would categorize broadband as a service open to heavy regulation. Supporters say the regulation would prevent companies from blocking or slowing the delivery of content like videos. Opponents say it would strap broadband providers like Verizon and Comcast with heavy-handed restrictions, and could lead to price controls. The Federal Communications Commission rolled back the country’s net neutrality rules in November 2017. Shortly after, internet companies and public interest groups sued to overturn the action, which was led by Ajit Pai, the agency’s chairman. In addition, more than two dozen states have raced to create their own net neutrality laws. The Justice Department and telecommunications companies have, in turn, sued to block the state efforts. Net neutrality, a regulatory idea hatched by academics, has been a decade-long battle pitting Silicon Valley and consumer groups against the telecommunications sector. Companies like Google, Mozilla and Facebook have argued that without rules, telecommunications companies can become gatekeepers of online content by choosing the quality of the delivery of web services in a way that could hurt rivals and consumers. The Obama administration sided with their argument, with the F.C.C. approving new regulations in 2015. Now, the companies are pushing for a law on the issue. A group of 120 start-ups, including Stripe, Medium, and GitHub, wrote a letter to Democratic and Republican leaders in support of the bill. 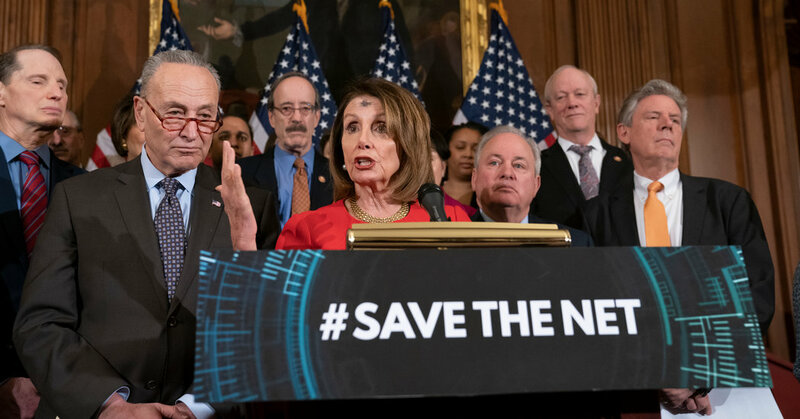 “Some in Congress are trying to give the government more control again, applying utility-style regulations that would threaten the internet as we know it. We should reject these efforts,” Senator Roger Wicker, Republican of Mississippi, said on the Senate floor last week.